I've been seeing DEKADA for quite some time now. It's not a feat since it's the first restaurant you'll find once you enter Glorietta from Landmark. We we're able to try it out last December after doing our Christmas shopping. We were all starving already so we decided to dine on the nearest restaurant which turned out to be a very bad decision. First things first, here are what we got and my thoughts about them. This appetizer turned out to be the star of the table. It’s a combination of ripe and green mango with hibi and some garnishing. 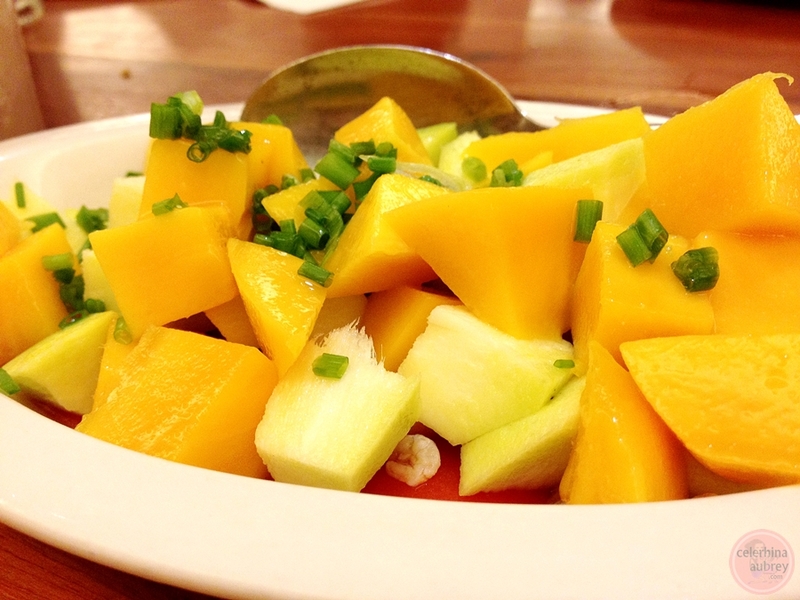 The sweetness of the ripe mango is perfect with the tangy flavor of the green mango. This salad is an explosion of flavor. When I first tasted it, I just can’t help but eat some more. 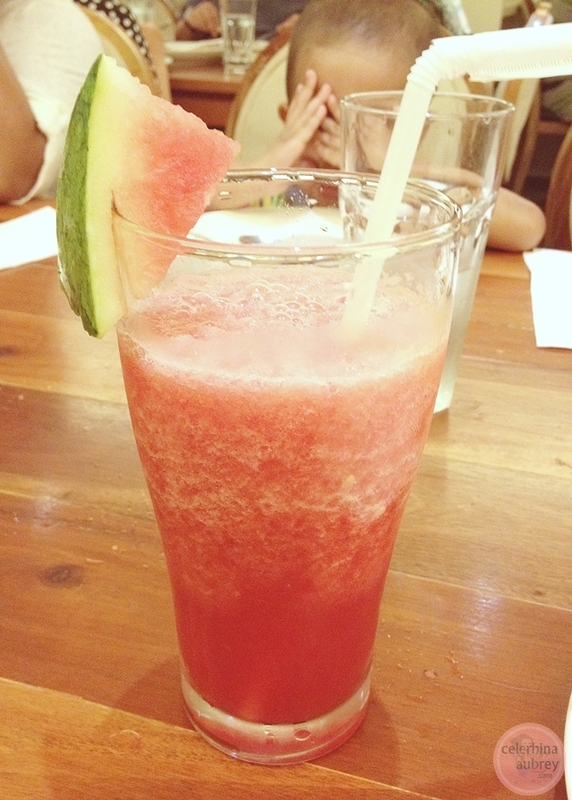 I love watermelon shakes. It’s just so refreshing. I think you can’t go wrong with watermelon shakes. As in. My sister got this for herself. And eventually shared it with Kuya Lallen. We both didn’t like it. 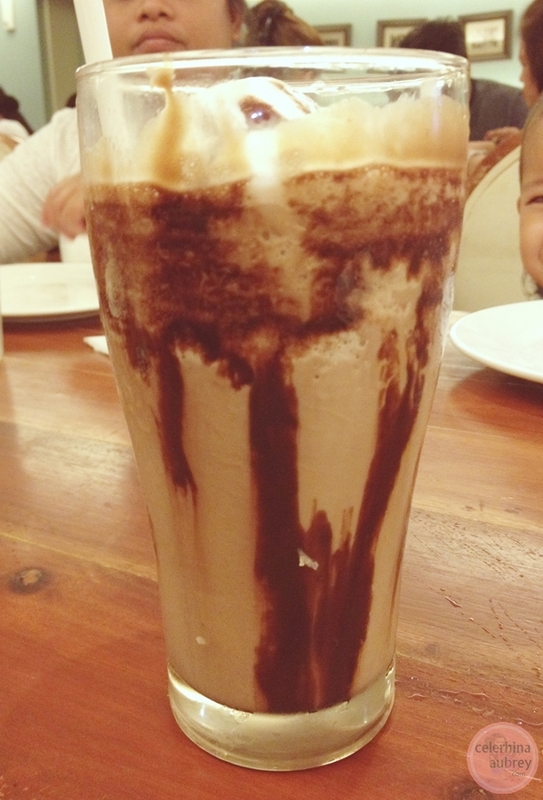 Cheaper milo shakes from the sidewalk are so much better. :( Such a waste of money. Their iced tea is okay. Nothing special. But’s not bad at all. 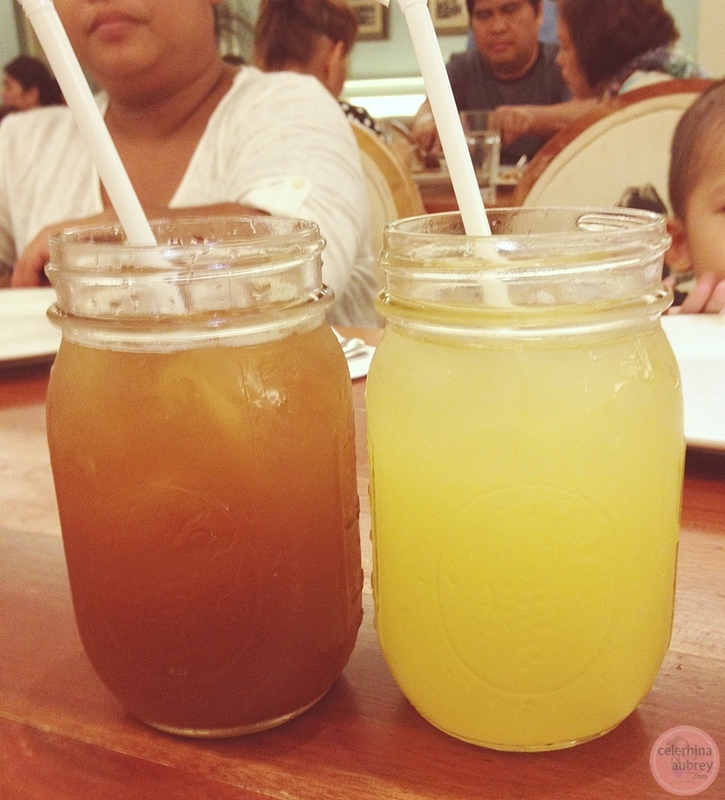 But their dalandan juice is just plain blah. My brother wasn’t able to finish it all. Such a shame. 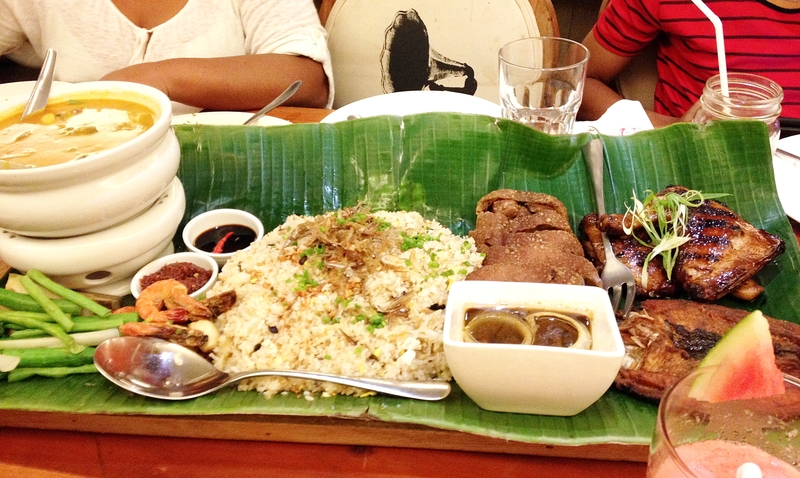 For our main meal, we opted for their Matagumpay food set. I am with my siblings and they are such big eaters. The set includes kare-kare, crispy pata, veggies, daing na bangus, grilled chicken and shrimps plus their dilis fried rice (if I’m not mistaken). The food was actually okay. I love their kare-kare and their soy sauce dip for the crispy pata is just plain awesome. The #FabSkye enjoyed the fresh veggies which she munches on. She loves sitaw and okra, by the way. But overall, if I’ll think about the price – this is not ulit. I think it’s a bit pricey and the taste is just comparable to my favorite Gerry’s Grill. 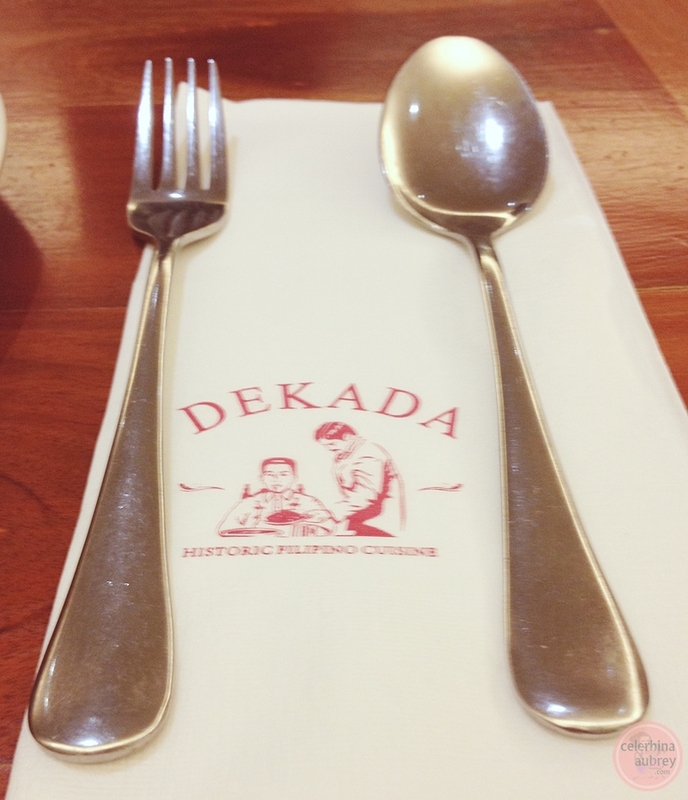 But the worst part on our DEKADA experience is the service! Que horror! I told you we we’re starving when we went there. And actually dined there because it’s the nearest. We’re supposed to eat at Avenetto but it’s kinda far from Landmark. But guess what? We waited for freakin’ 1 hour for our food. Grabe diba?! I mean, usually 30 mins is already too much but still bearable coz most of the time, the dishes are freshly cooked. But an hour?! Plus we asked for a high chair for the baby. They said yes, they’ll just clean it up a bit. After 15mins, we followed up. Sorry daw naibigay daw sa iba. So hello? But still we said, next nalang. Ayun. We waited for almost an hour too for the high chair. And their service is really poor. We have to follow up and follow up just for them to refill our bottomless drinks. Super super bad experience. I really want to take back the Php 264.66 service charge I paid. Jusko. Service? What service?!! OA. Never again, DEKADA. Never again. 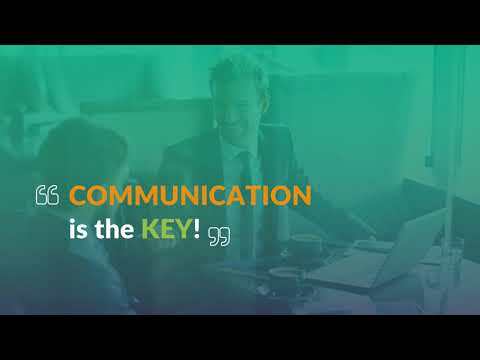 Summary of Review: Poor service. No, make that extremely poor service. Too long waiting time. Food quality not at par from others with much more reasonable price range. Never coming back. Would never recommend it.